Everyone has the treatment of foot spa, the result of bubble outing are not the same, different layers of colors, different amount of foam, the foot spa water only upto the ankle, which means that no one person having the same situation and problems. The physician then adjusted according to the situation, the eradication of illness, the process is to ensure that no side effects and being more effective on the treatment. Our herbal therapy is effective in the treatment and rehabilitation of muscular-skeletal injuries, problems associated with respiratory system and circulatory system such as arthritis, bronchitis, pneumonia, rheumatism, sinusitis and any other conditions of the lungs and body cavities. Poor blood circulation can cause insufficient supply of nutrients and oxygen to the cells in our body and may lead to many health problems. Poor blood circulation can cause insufficient elimination of waste products and toxins from the body and may lead to many health problems. 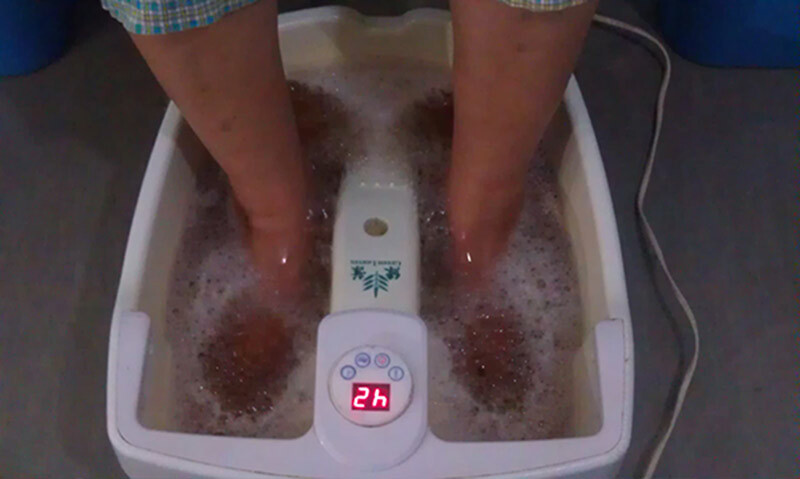 With regular foot spa, it promotes gradual restoration of proper body functions to improve health and vitality with better blood circulation, increased metabolism and elimination of body waste products and toxins. Numb : Indicates Poor Blood Circulation. Ache : Accumulation of Toxins in the Region. Pain : Previous (old) injuries that cause Blockages in the Region. Itch : Acidic Body Conditions, Sensitiveness or Diabetes. Warm : Normal Condition. Blood Is Circulating. Bloated Head : High Blood Pressure. Heavy Head : Weak Cranial Nerve. Chest Discomfort : Low blood pressure phenomena. Tired : Deteorated liver, kidney, spleen organs or under high stress and tension.